The HandiCamHD provides professional, True HD technology bundled up in a battle-ready, waterproof case. Now your camera can go anywhere you can, and bring back the thrilling memories you’ve been dying to share with your friends. Mount your HandiCamHD to the leading edge of your surfboard or the soaring chute of your parasail; no destination is too dangerous and no stunt too scary. This completely waterproof action camera is light and compact enough to clip anywhere and tough enough to take some spills. And for all its guts and strength, it doesn’t sacrifice a bit of wit or fashion. The slick, modern design is accompanied by a a fully-loaded feature set which includes high dynamic range imaging, still photography, a wide-angle lens, a built-in LCD screen, loop recording, motion detection, and more. Professional Quality Full 1080p HD: Along with professional high definition 1080p H.264 files, the HandiCamHD offers three additional lower-resolution options, so you can strike the perfect balance of image clarity and file size. Select from 1290x1080, 1080x720, 848x480, and 640x480. High Dynamic Range Imaging: With its high quality wide-angle lens and integrated high dynamic range imaging technology, the HandiCamHD captures crisp, beautiful images with striking colors, and perfectly represents the entire spectrum from deep black pure white. 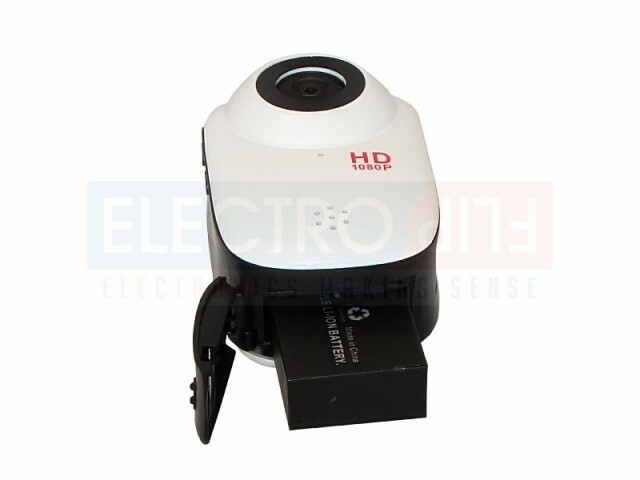 Also a Still Camera: For photogs who fear damaging their sensitive equipment, the HandiCamHD is an excellent alternative. Choose from 12, 8, and 5 MP resolutions for your still shots, which you can review right on the spot on the built-in LCD screen. There’s also a timer to help you take solo or group shots. 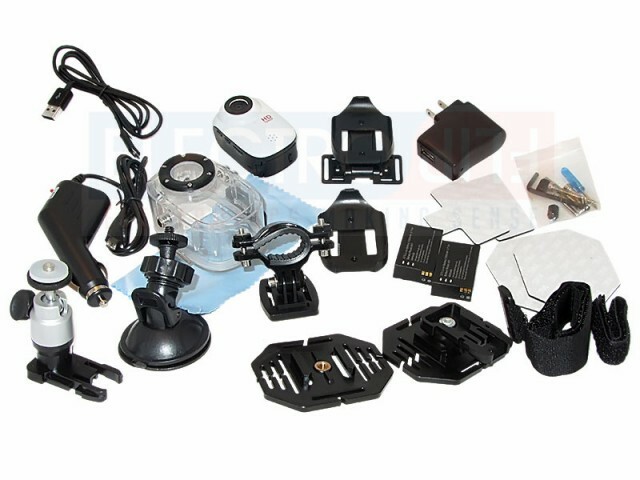 Includes a Variety of Mounts: The mounting kit included with the HandiCamHD has everything you need for any adventure. Mount it to your helmet during a ride or jump, to your handlebars, to your clothes, or on a monopod to get some versatile and really unique footage. Hold it high above your head at the crest of the mountain and you’ll take home some views you couldn’t even see while you were there. Fully Functional Waterproof Case: The custom-designed case that comes with the HandiCamHD keeps it completely sealed in and safe from dust and water. You can take it deep-sea diving down to 60 feet below the surface, and you’ll be able to continue selecting options while you’re down there, unlike some waterproof cases that just lock the device in an impenetrable box. 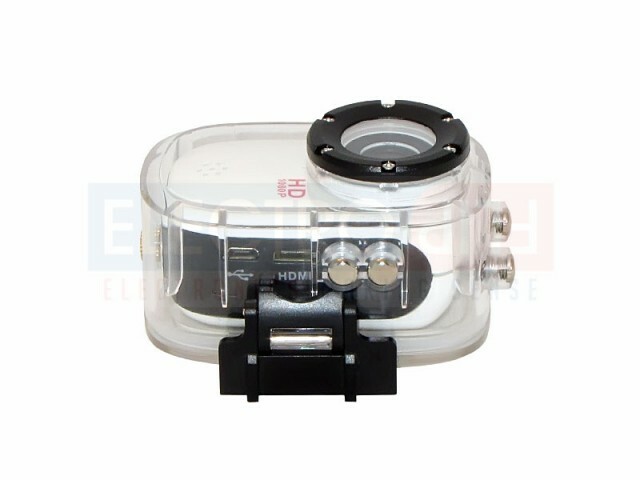 LCD Screen: The built-in LCD screen puts the HandiCamHD at the head of the pack of action cameras. 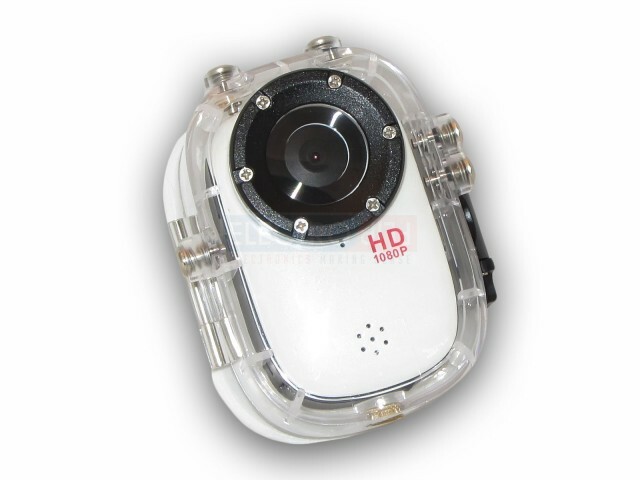 The ability to review your footage right on location with a portable, durable, mountable, versatile, HD action cam is almost as rare a find as a giant squid – which you could totally film with the HandiCamHD. 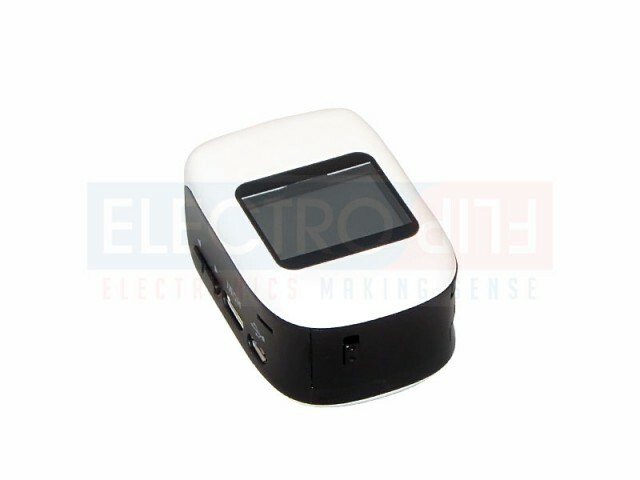 Includes Two Lithium Ion Batteries: Each of the two included lithium ion batteries give two hours of continuous recording time. The HandiCamHD uses quality, rechargeable, and most importantly, removable batteries, so that you can just swap them out and keep filming when you’re out in the field. Automatic Motion Detection Mode: You can also record your own stunts without any assistance, distractions, or wasted time. Put the HandiCamHD in motion detection mode, and it will click on as soon as it senses you swooping by. Loop Record: Another added convenience is the HandiCamHD’s loop recording option. 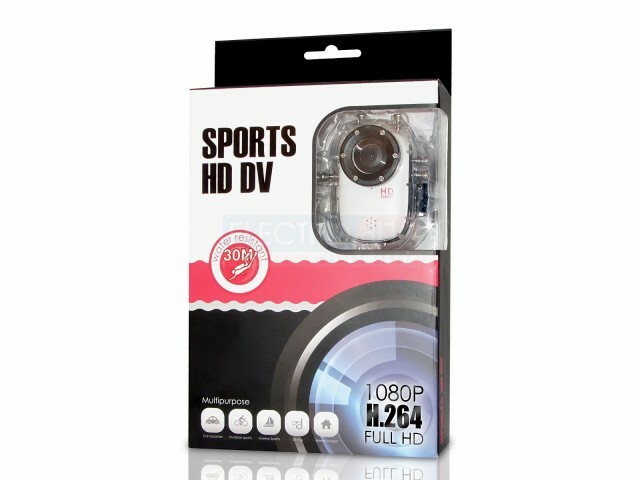 When enabled, it ensures you won’t miss any of the action because of a full memory card. 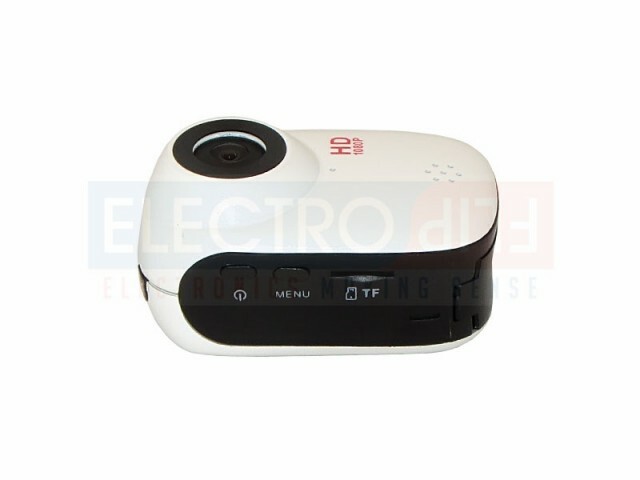 It can record your newest footage over the oldest footage in 3, 5, or 10-minute clips. 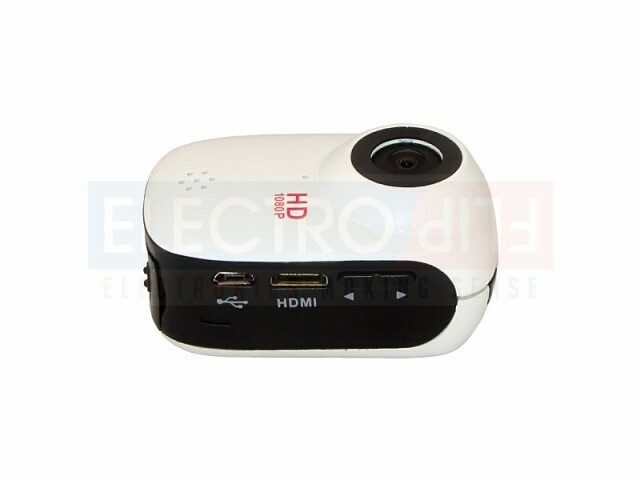 MicroSD and USB: The HandiCamHD charges its batteries and can transfer footage through a standard USB connection and stores files on removable MicroSD memory cards. We recommend Ultra Class, only up to 32 GB. The different mounting accessories that came with the camera was awesome. It allows me to use the camera any way I want. Recommended camera. This product is one of a kind!